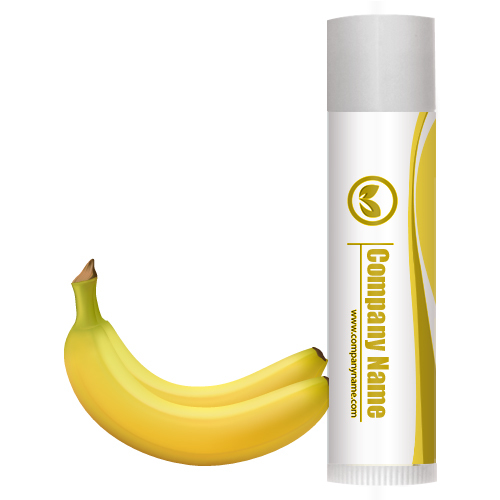 Custom Banana Flavor Legacy Lip Balm imprint transports the user into a mood of tropical vacation. 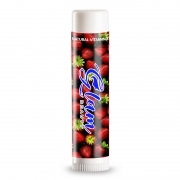 This lip balm is enriched with flavor of ripe bananas, which reminds about lush tropical islands and farms loaded with fruits. It makes a perfect gifting choice for all those who wish to gift away happy smiles and dreams of an exotic tropical vacation. Health Quotient –Enriching formulation including mineral oil, coconut oil, beeswax, aloe vera, vitamin E and many more. PABA Free. Banana flavor. Cruelty- free. No harsh flavoring and skin conditioning agents included. Directions – Banana lip shimmer generously over bare lips. Use it as an add-on with lipstick or other lips make up. Avoid using it over eyes or cheeks or around ears as a cosmetic highlighter. Gifting Favors – Custom Banana Flavor Legacy Lip Balm can be gifted during any tropical themed parties, weddings, or anniversary celebrations. 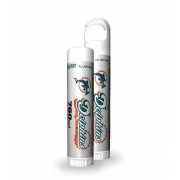 People would be happier to remember you every time they rub this lip balm over lips.